We are delighted to publish the following article. 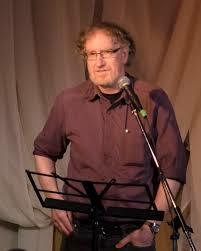 John Nyman is a graduate student and Toronto-based poet. He is currently beginning PhD studies in Theory and Criticism at Western University. When Northrop Frye claims, in The Educated Imagination, that “literature belongs to the world man constructs, not to the world he sees; to his home, not his environment” (12), his vision seems radically disconnected from that of the nature poet or ecopoet, who seeks to represent or even protect nature by portraying it in literary language. For example, “com[ing] to grips with the practice of nature poetry in a time of environmental crisis” is the central concern of Vis à Vis (9), the first of three books of philosophical and field notes by Don McKay, one of Canada’s foremost ecopoets. In accordance with this aim, McKay begins his book with an ethical stance against the “one pole of our relations to material existence” he calls “matériel,” a “second-order appropriation” which “address[es] things in the mode of utility” (Vis 20)—an address which feels very much like an important part of Frye’s literature as the language of “what [we] want to construct” (Educated 7). Considering these key images in both thinkers’ works, Frye’s vision of the social function of literature and McKay’s deployment of poetry appear to come up against each other in deadlock. However, a deeper reading of these thinkers shows that Frye’s and McKay’s bodies of thought coalesce on an understanding of nature and society as ethically inseparable, which gives shape to their shared vision of poetry. While each thinker approaches this model from a different direction—Frye from a central interest in humanism and McKay from the political standpoint of ecology—reading their understandings with rather than against each other helps us produce a fuller and more fruitful picture of the relationship between humanity and our natural environment. This explanation is corroborated by further elaboration of McKay’s concept of wilderness, which he describes in Vis à Vis as “the capacity of all things to elude the mind’s appropriations” (21). “Wilderness” is an element of what we commonly call nature which is before or beyond humans’ “primordial grasp,” the gesture which leads us to create our non-natural identity by marking nature as ‘other’ and “establish[ing] the place where representation and recollection occur” (McKay, Vis 22). Wilderness also, then, stands against the extreme form of human “grasping” which is the ruthless appropriation or utilization of the natural world amounting to “the colonization of its death” or “a denial of death altogether” (McKay, Vis 20). This process, for McKay, is the making of “matériel,” or “matérielization” (McKay, Vis 20). This entry was posted in Uncategorized on August 9, 2013 by Guest Blogger.